The latest ruling by the Constitutional Court, allowing Eskom to retrospectively ask the National Energy Regulatory of SA (Nersa) to clawback additional tariffs from consumers could lead to further hikes in the price of electricity for South Africans. However there is hope for homeowners to considerably reduce the impact of future increases. Van der Westhuizen points to the available technologies that could offer homeowners the biggest long term cost savings. 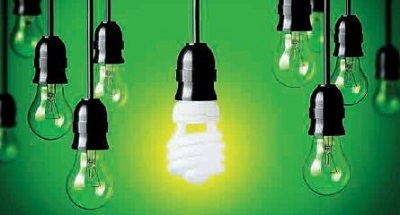 Van der Westhuizen says that replacing the homes light bulbs with energy efficient lighting is the first place to start. Van der Westhuizen also points out that while the capital required for home generation has decreased substantially in recent years, the upfront cost of a new system can still be prohibitively expensive for many homeowners. Energy Partners recently launched it Smart Living g Solutions initiative in partnership with Nedbank this year. This enables qualifying Nedbank clients to invest in energy saving products for their homes as part of their existing home loans. “Alternate energy has become a good long term investment with a great financial benefits, and innovative financing options have made this option available to even more homeowners,” Van der Westhuizen concludes.